Meet Brad, System Designer | West Coast Solar, Inc.
At West Coast Solar, our team works together to make your community better through solar solutions for homes and businesses. Today we would like to introduce you to Brad Coats, our system designer. Brad joined us three years ago and he spends his days designing solar systems in AutoCAD before sending his designs off to our engineers for development. After reviewing photos from site surveys, he uses his understanding of solar electricity to design the best solar solution for every customer based on their individual needs. Originally from Folsom, Brad now lives in Brentwood. 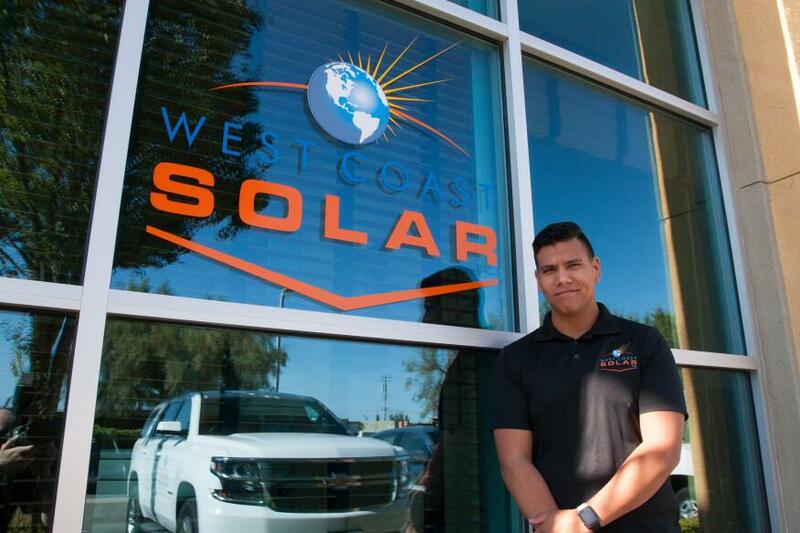 His interest in engineering started in fifth grade and after learning the basics of CAD, he got his start in engineering at West Coast Solar. He appreciates the fact that our team is like a big family, dedicated to working together toward creating an enjoyable experience for our customers. When he’s not at work, Brad enjoys working on his dream car, a 2016 Subaru WRX. He loves to do anything on wheels, from racing motocross bikes to riding BMX bikes, and his other hobby is spending time outdoors hiking local trails.